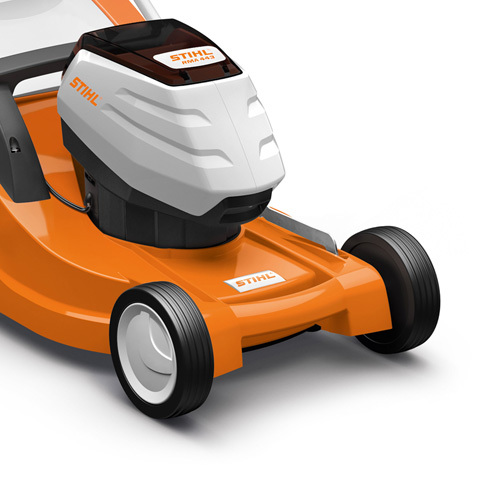 The STIHL RMA 443 is the clever choice if you have high standards for the mobility of your lawn mower. 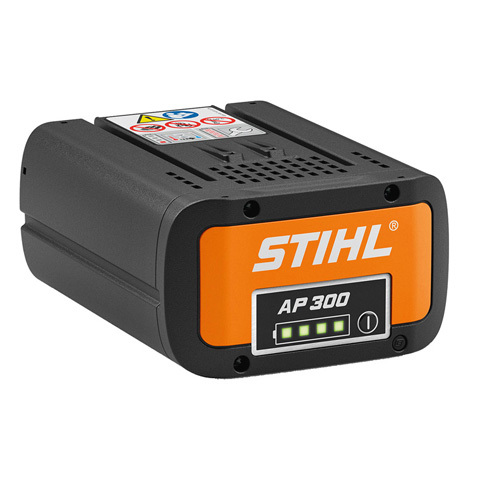 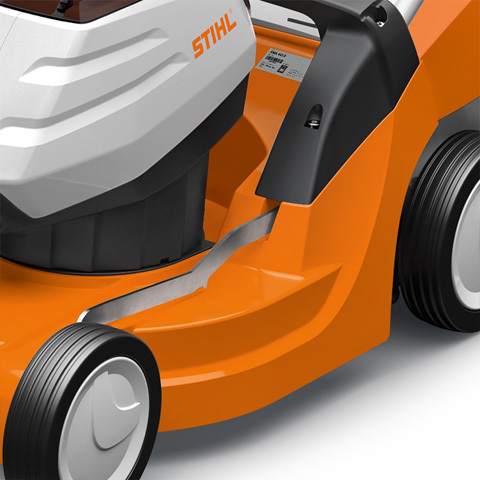 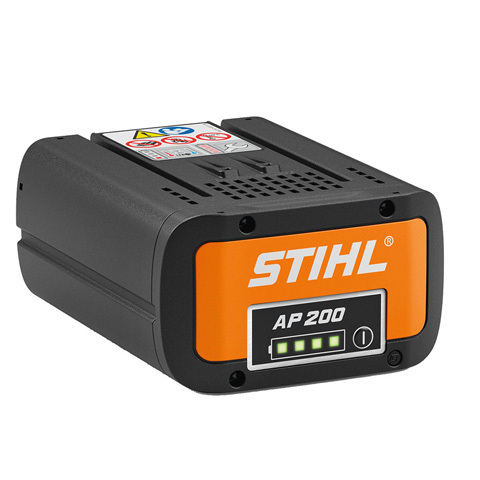 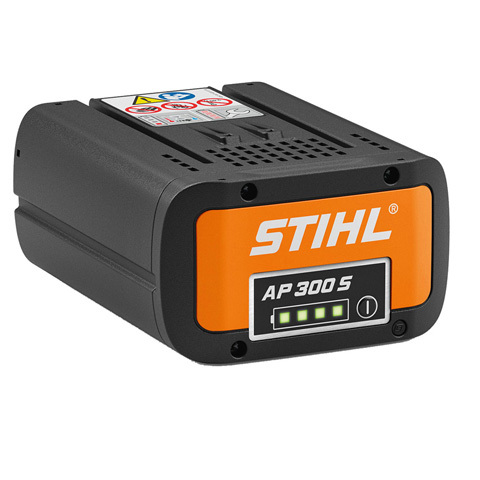 Equipped with the high-quality lithium-ion batteries from the STIHL PRO battery system, the lawn mower has high energy reserves. 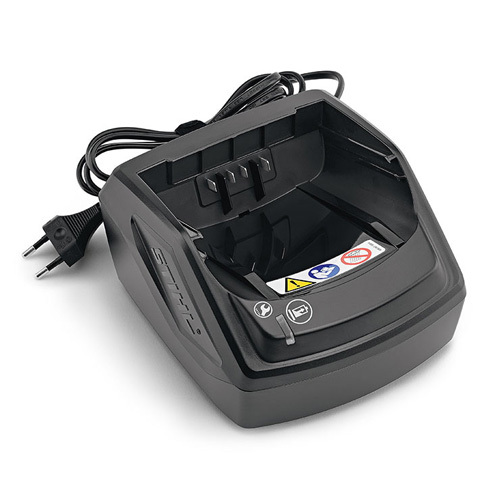 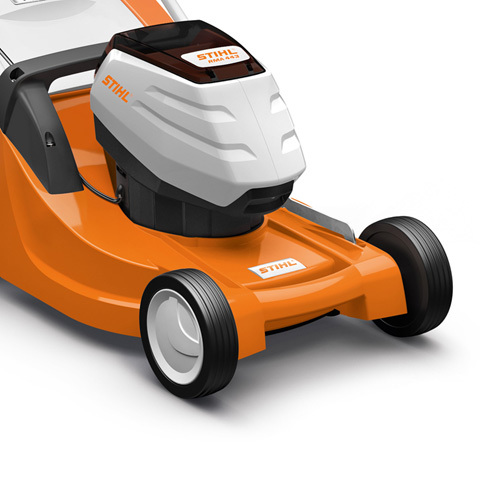 For economical application of this power, the motor's activatable eco mode offers especially energy-saving operation in combination with the flow-optimised blade. 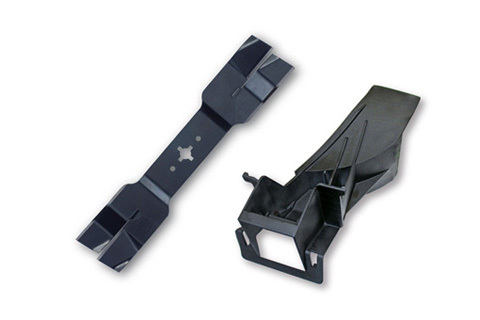 The foldable grass catcher box holds a large quantity of clippings and is easy to empty. 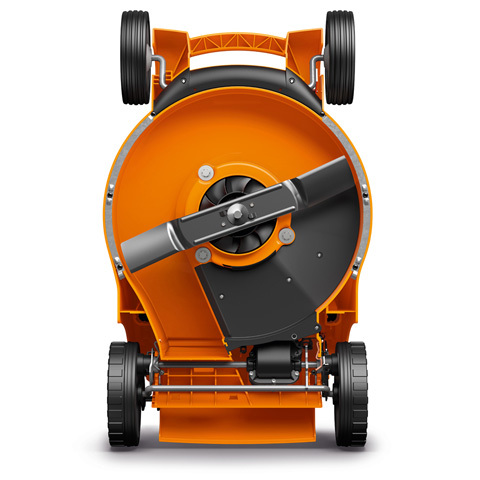 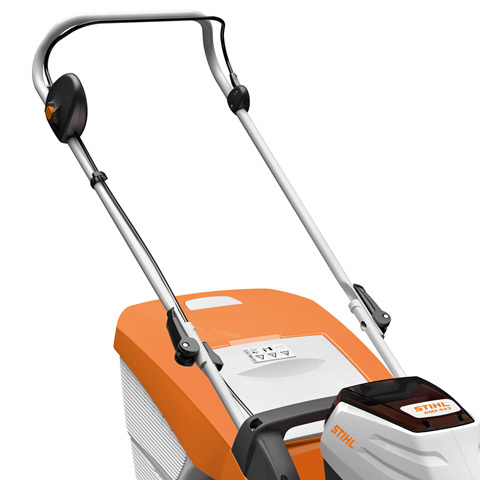 So that you do not expend any unnecessary energy either when mowing your lawn, the STIHL RMA 443 is easy to manoeuvre, relatively light and thanks to the QuickFix quick-clamping device can be quickly and space-savingly stored or transported. 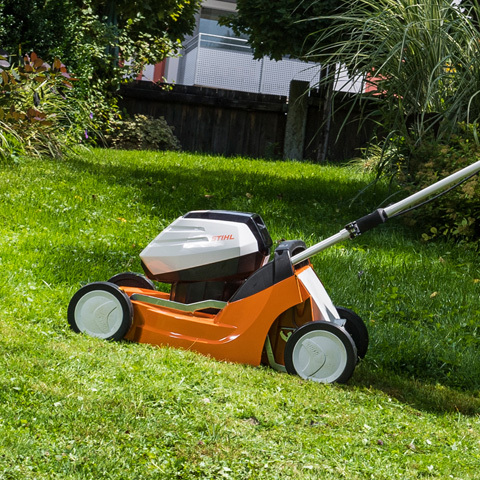 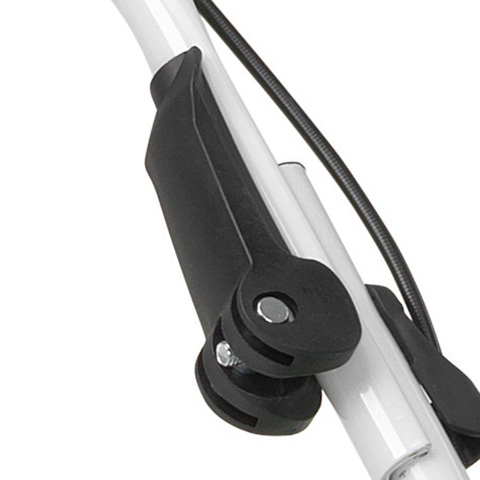 The Quick Fix quick clamping devices can be used to fasten or release the handlebar of the STIHL battery-powered lawn mower in a few seconds. 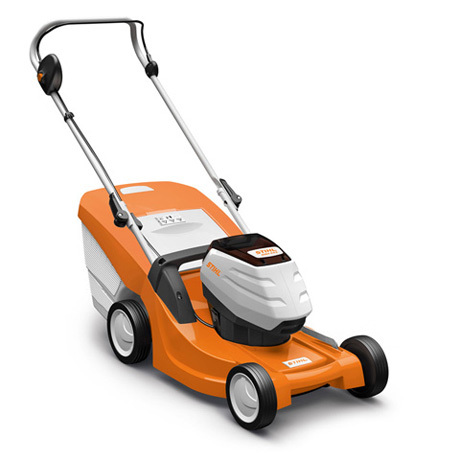 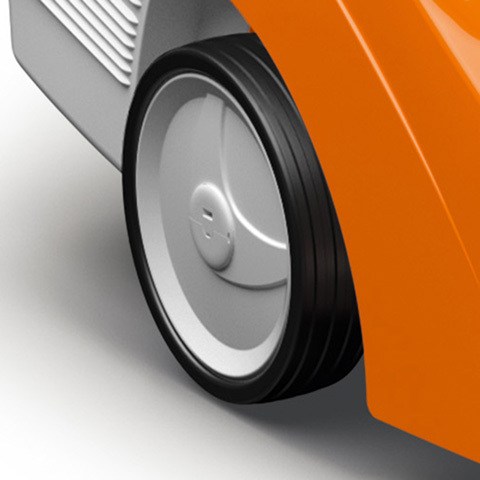 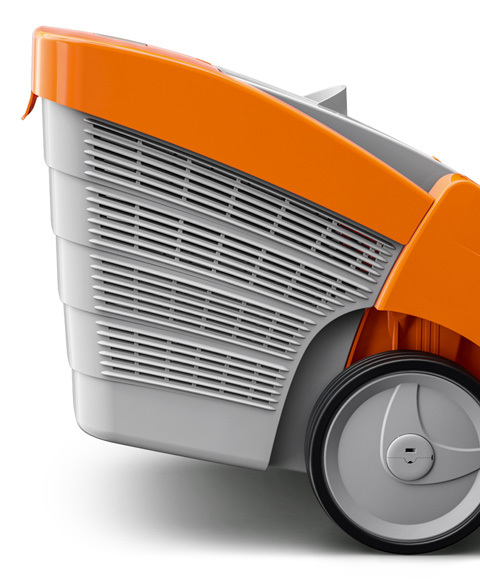 This enables the lawn mower to be folded away compactly or made ready for action without using tools.